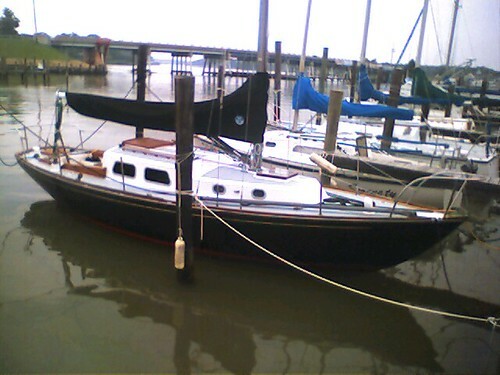 "Sabrina" a 1966 Alberg 30 #158 in port at the Pirate's Den Marina on Cobb Island, MD in 2004. Big sailboat on the Erie Canal. 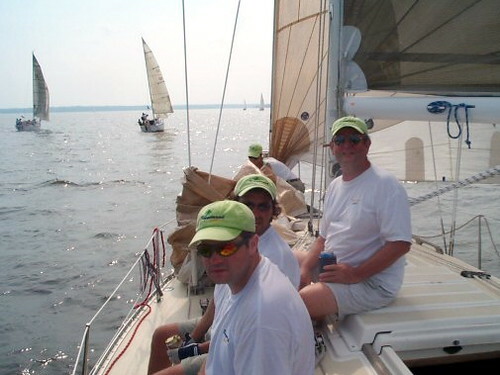 Heading home after winning the non-spinnaker fleet at Screwpile 2005 aboard Krugerrand.